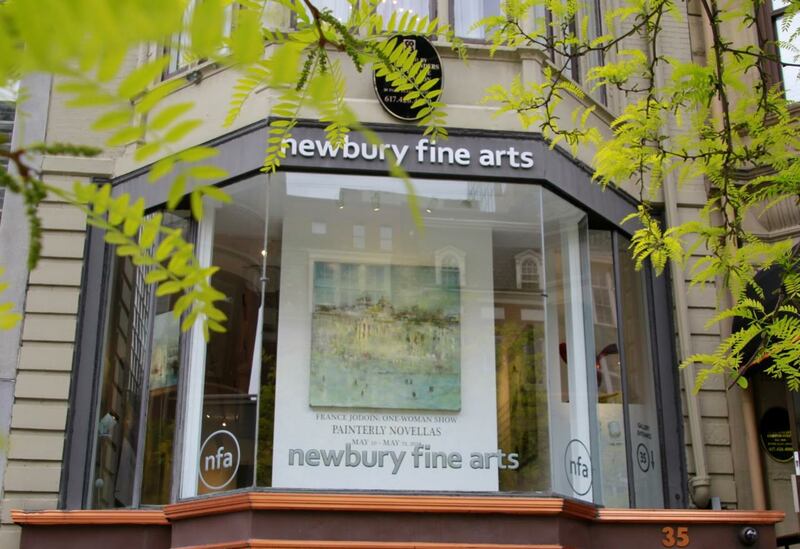 Founded in 1984, Newbury Fine Arts has been a strong presence on Boston’s historic Newbury Street and has continued to showcase a unique assemblage of contemporary artists. The gallery hosts four to five one-man shows and one group show yearly. The annual figurative exhibition thematically celebrates the human form with a select group of artists. Each artist draws from their masterful technique and individual concept to project their unique perspective. At the core of Newbury Fine Arts are the dedicated staff and passionate owners. Within a welcoming environment the gallery personnel engage and establish relationships with clients providing knowledge and service. We pride ourselves in nurturing both the artists and patrons alike, resulting in extremely long lasting connections. Our mission is to keep it interesting and to maintain an exceptional level of quality in the talent that we represent with enthusiasm and friendliness.